Raleigh MD, Mark Gouldthorp, has provided BikeBiz with an open letter that he says better explains his remarks published by The Guardian newspaper last week. The letter also includes an email address for the Raleigh boss with the offer for any IBDs to get in touch direct to resolve outstanding issues. Gouldthorp’s comments about IBDs being like "Steptoe and Son", and describing Halfords and other major Raleigh customers as "vipers", have been much criticised on the trade-only forum of BikeBiz.com. Firstly, some of my remarks in the Guardian last week were taken out of context and as such were inflammatory – you live and learn! 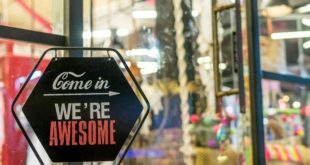 If you are an IBD who has invested in store frontage and interior during the last five years, and regularly invest in store marketing to drive sales, then please disregard my comments as having little relevance to what I am sure is a thriving business – many of them Cyclelife or Raleigh Main Dealers. Raleigh remains committed to the IBD. Raleigh’s sales and marketing effort is devoted to the promotion of our brands and range through the IBD. Our Main Dealers benefit from extensive in-store POS, personalised catalogues, stockist listings on web, inclusion in mass media publications (we recently published over four million catalogues for distribution in the Sunday mainstream press with IBD Stockists listed), and in the specialist press. No other company offers this to its UK IBD network. For those IBDs who aren’t investing in their business, there is a storm coming. The UK’s largest cycle retailer has a strengthening position in the marketplace, through a refined retail proposition. Evans, EBC and now Cycle-Surgery (recently purchased by Snow and Rock) are developing a retail presence in prime locations throughout the UK. Independent dealers will start to find themselves under an intolerable pressure from heightened levels of competition. As the rest of the High Street coalesces to form franchise or buying groups to survive, IBDs should consider a similar strategy. 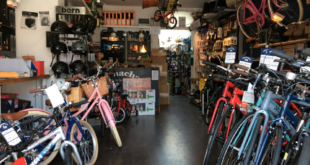 Raleigh’s Cyclelife programme is designed to provide independents with a 21st Century store identity and national marketing capability based on the high service ethic of independent retailers. The Cyclelife concept still has scope for refinement. However it is already the UK’s largest independent cycle retail chain – having facilitated the opening of 10 new stores this year, and with the aim that it will double in size in the next 18 months. Any dealer who seeks support to develop their retail proposition and improve their profitability should contact Raleigh to discuss Cyclelife. Finally, in any BikeBiz debate on Raleigh of recent years, there follows the usual ‘Raleigh aren’t what they used to be’ thread, usually perpetuated by those dealers who do not have a trading relationship with Raleigh; I beg to differ. The 2008 Raleigh, Diamondback and Triumph ranges are the strongest in over a decade, and consumer and dealer reaction at the London Cycle show was proof of that. For those dealers who have not had chance to see our complete 2008 range please take this as my personal invitation to visit us in Nottingham – I guarantee you will not be disappointed. In addition, for those dealers who have issues I have not addressed I welcome the opportunity for direct dialogue [note : Gouldthorp’s email address can be found on the trade-only forum]. In summary, at Raleigh UK we are all committed, passionate and determined to make our business the leader in today’s demanding and competitive market. We have a very clear strategy that plays to the strength of our brands and seeks to invest in the IBD’s to achieve that aim.